windows 8 started like a charm..
after booting in windows 8 .. I used Easy BCD to restore the windows XP in the Boot Menu. help received from : How to restore windows 8 GUI boot-loader after installing windows 7? ગણેશચતુર્થી જેવા પ્રસંગોએ મોટા અવાજે ભૂંગળા વગાડવામાં આવે ત્યારે આપણને ત્રાસ છૂટે છે, અને આપણે તેવા અવાજથી દૂર એવી જગ્યાએ ભાગી જઇએ, તે જ રીતે આપણે એવો અવાજ પેદા કરીએ કે જેનાથી આપણને કોઇ કનડગત નહિ થાય, પરંતુ જીવડાં તેનાથી ભાગી જાય.. This is the design circuit diagram of an ultrasonic mosquito repeller. The circuit is work with based on the theory that insects like mosquito can be repelled by using sound frequencies in the ultrasonic (above 20KHz) range. This is the figure of the circuit. 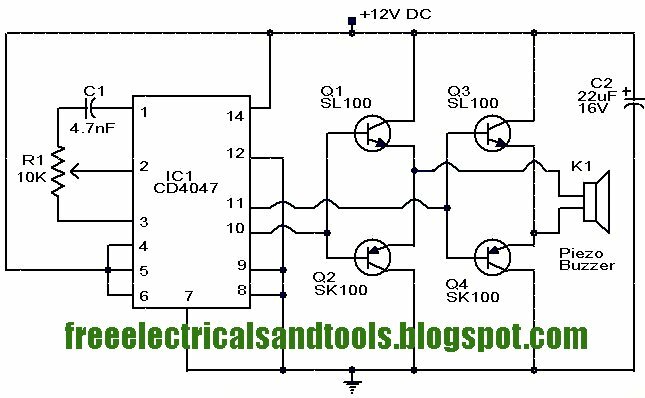 This circuit is operated using CMOS IC CD4047. The circuit is nothing but a PLL IC CMOS 4047 wired as an oscillator working at 22KHz. A complementary symmetry amplifier consisting of four transistor is used to amplify the sound. The piezo buzzer converts the output of amplifier to ultrasonic sound that can be heard by the insects. The circuit can be powered from 12V DC. The IC1 must be mounted on a holder. 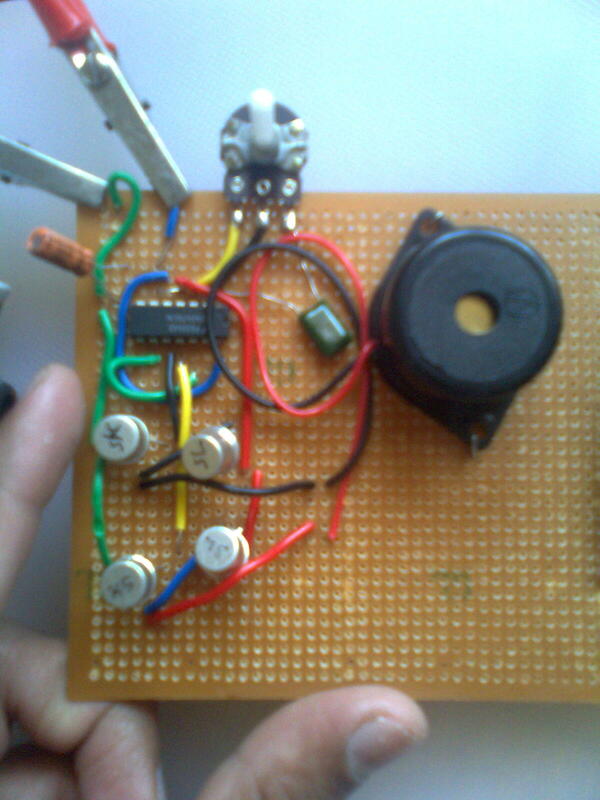 The buzzer can be any general purpose piezo buzzer. જનરલ પર્પઝ પીસીબી ઉપર ગઇકાલે રાત્રે જ આખો પ્રોજેક્ટ પૂરો કર્યો. અને મમ્મીના રૂમમાં જઈ ફીટ કરી આવ્યો..
આજે સવારે મમ્મીએ કહ્યું કે તારા આ “મશીન” લગાડ્યા બાદ મને મચ્છર કરડ્યા નથી..!!! !